The Washington Monument has been closed since August 23, 2011 when a 5.8 magnitude earthquake struck 84 miles southwest of the Nation's Capitol. 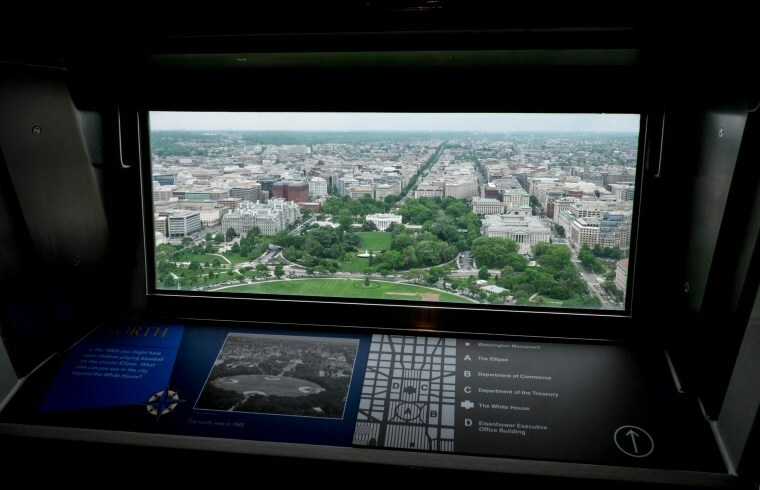 During a media preview tour on Saturday, a view of the White House could be seen from the top of the monument in Washington, DC. It is scheduled to reopen to the public on Monday.